In this season of our life, Kim and I have been learning that through Christ we can do all things (Philippians 4:13) but without Him we can’t do diddle-squat (John 15:5) [Jesus didn’t actually use the words ‘diddly-squat’]. We’ve had conversations in which we agreed that as God blesses us with more opportunities and more successes in the future, we will be quick to remind each other of those truths if we suspect pride welling up in each other. This is, after all, how God operates. Before He allowed Joseph to become second in command of the only world power at that time, He humbled him by letting him be sold into slavery and then had him thrown into prison for a few years. Before He allowed Moses to have the incredible task of leading the nation of Israel out of Egypt, He humbled him by sending him to the wilderness for 40 years to tend sheep. Before God uses anyone, He humbles them first. God is about the business of glorifying Himself and the only persons who are capable of joining Him in that task are those who are no longer seeing the need to compete for that glory. I have two races coming up next month. 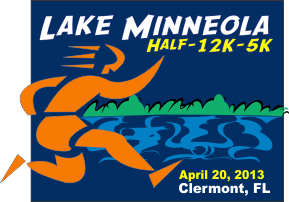 I’ve registered for a 5K race on April 6th and then a half-marathon on April 20th. Some intense training and high miles have been a weekly staple as I’ve prepared for them. And while the half-marathon is going to be a high point for me simply because I’ve never run a race that long, the 5K is special because it is the second time I’ll run that particular race. I ran it a year ago and it was the first race I ever participated in. It also happens to be the fastest race I’ve ever run. I ran the 3.1 miles in 24 minutes and 21 seconds. I’ve never beat that time since. I went out the very next day for a Sunday afternoon long run. I was supposed to run 10 miles but crashed and burned after 8.56 miles. Then, on Monday, I was supposed to do a 7 mile run but only got in 3.5 miles because my Achilles Tendons on both of my legs were in serious pain. Here it is Thursday and I haven’t run since Monday. My Achilles Tendons are getting better but are still a little painful. Physically – It happened because I have not been doing enough stretching (specifically dynamic stretching) before each run. I need to begin doing some static stretching after each run as well. Spiritually – It happened because I was getting confident in myself rather than confident in what Christ could do through me. I believed that I had the power within myself to reach the goal. However, I failed to remember that back at the age of 8, I submitted my life to the authority of Christ. He’s the one that calls the shots and gets the glory now … not me. I’ve learned both lessons and may try to run a little tonight or tomorrow. I’ll realize that whatever I can do or accomplish only happens as the Lord graciously provides me with the ability and opportunity. I’ll also focus on gratitude to the Lord when I experience success knowing that He is the one who did it through me. In doing this, I will be glorifying the Lord, even while I run! Previous Previous post: "Confessing Jesus Christ as Lord"